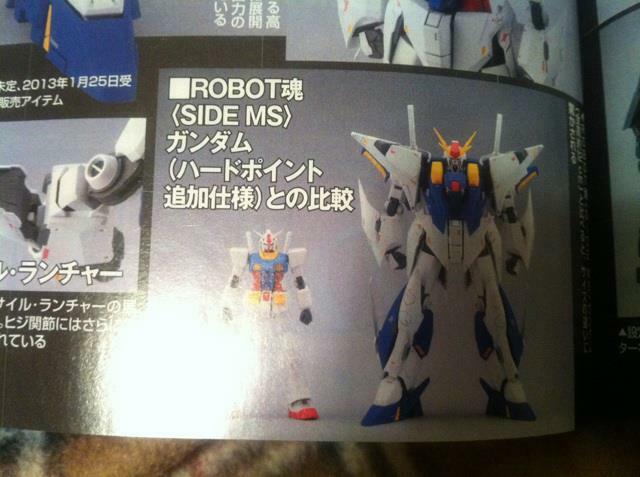 As was hinted at a while back, the mighty RX-105 Xi Gundam will indeed be getting the Robot Damashii treatment. Pre-orders start today and it is also a Bandai premium online shop purchase. Coming in at 10,500 yen it’s probably one of the most expensive Robot Damashii toys yet made. There is good reason for this though, the toy is utterly huge. It’s being done to scale with the other Gundam mobile suits and at 26m in the original novels, that practically dwarfs the original RX-78-2 Gundam (that’s just a meagre 18m). To put this into perspective, the mobile armor PMX-000 Messala from Zeta Gundam has a lower head height (23m) than the Xi Gundam. There are some nice comparison shots of the new toy too and it shows the scale difference off very nicely. Apart from the height, this will also be part of the Ka Signature splinter brand. So it’s going to have Hajime Katoki handle the the modelling and finish. 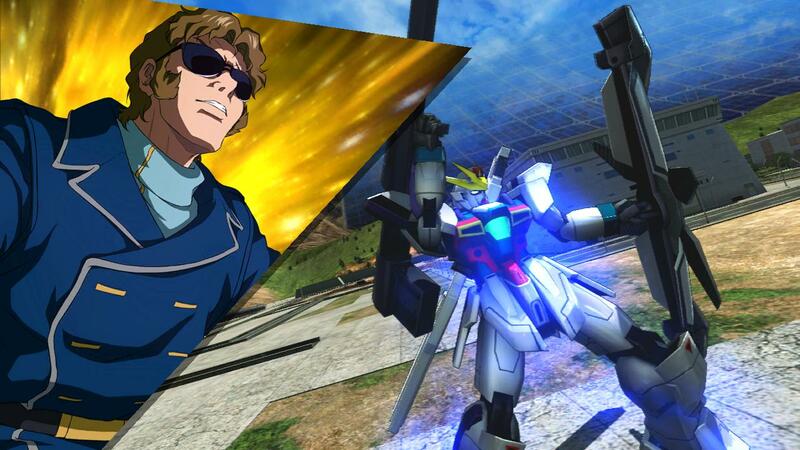 The Xi Gundam was also recently added to Gundam Extreme Versus Full Boost as well as a DLC pack for the current Gundam Extreme Versus. In any case, it’s one of our favourite Moriki Yasuhiro designs so we’ll be getting this for sure. As of tomorrow Rev 3.15 will be rolled out for Senjou no Kizuna, the newtorked Gundam game with the amazing cockpit setup. The notable additions to this revision, bar balancing tweaks, are two new mobile suits; the RX-78-5 Gundam Unit 5 and MS-09RII Rick Dom II. The former was featured nearly 10 years ago in Meguriai Sora (or Encounters in Space) on the PS2 as part of sidestory campaign. Seeing it here again is a welcome sight. It was based on the 5th Gundam from M-MSV. It’s still impressive to see Senjou no Kizuna keep on getting this kind of support, as the hardware it uses is awfully dated now. The XXXG-00W0 Wing Gundam Zero will be officially released on December 18 in Gundam Extreme Versus Full Boost arcade machines all over Japan. 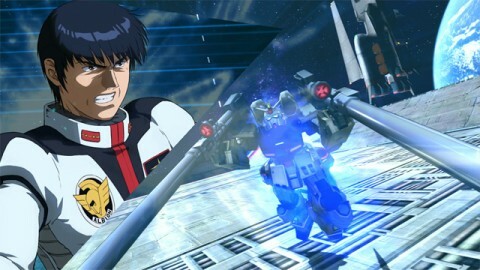 Last seen in Gundam VS Gundam Next Plus, Heero Yuy gets his second mobile suit with a unit cost of 3000. 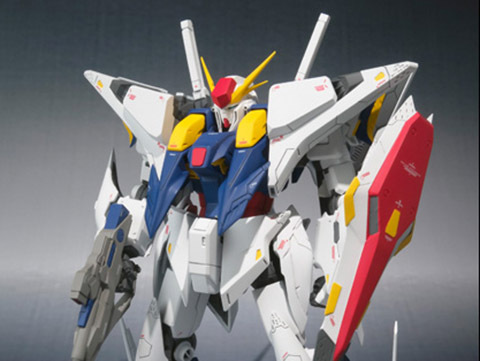 In order to differentiate it from its XXXG-00W0 Wing Zero Custom variant, Wing Zero appears to be more versatile in both close and long range combat. It also utilizes the Zero System which cuts enemy tracking during while activated. From first glance, this unit looks to be a great addition to the already diverse cast of Full Boost. Here’s to hoping we might see its inclusion as DLC for the PS3 version of Gundam Extreme Versus in the near future. Check out the Wing Zero in action below! 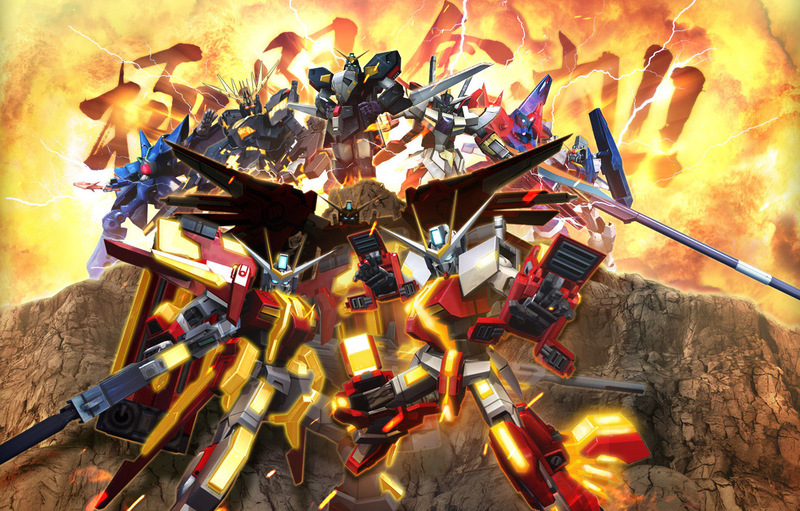 The Gundam Extreme Versus Full Boost website has been updated with a plethora of new mobile suits. Aside from the RX-105 Xi Gundam and the XXXG-00W0 Wing Gundam Zero, whom were previously announced, a total of five new units have been officially added to the foray. They are the YAMS-132 Rozen Zulu from Gundam Unicorn, MBF-P01-Re Astray Gold Frame Amatsu from Gundam Seed Astray, Mashymre Cello’s AMX-011S Zaku III Custom from Gundam ZZ, GN-007 Arios Gundam from Gundam 00 and the GP-03 Gundam Dendrobium (pictured above) from 0083 Stardust Memory, which was last playable in Gundam VS Gundam Next Plus. This coincides with the recent Full Boost mobile site leak, where even more new mobile suits are shown, including some previously mentioned. Those units are the following: XM-X3 Crossbone Gundam X-3, ZGMF-X88S Gaia Gundam, G-Armor, AMX-109 Corin Nander’s Kapool, AGX-04 Gerbera Tetra, RGM-79FC Striker Custom, and Gundam AGE-1. While not visible, the MSA-0011 S Gundam also appears to be in as well as text mentions the ALICE system that resides in the S Gundam that was featured in Gundam Sentinel. 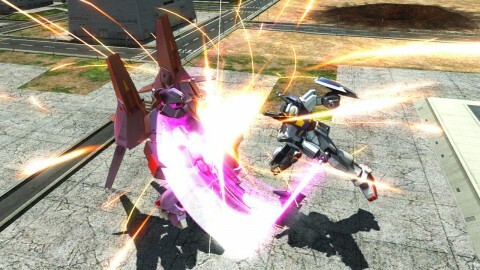 There’s also a little surprise for Gundam Extreme Versus players out there on the PS3. “The Best” re-release will be accompanied by new DLC units on December 13th. The two units are the Xi Gundam and GP-03 Gundam Dendrobium and they will go for 500 yen each. There is also a special six pack DLC for 2,000 yen that includes the previous 6 DLC units. Hopefully Namco Bandai will continue to fill in the long void between now and the probable console release of Full Boost with more unit DLC for console players. As a huge Gundam Extreme Versus player myself, I am definitely looking forward to jumping online with these two new mobile suits. Check the video below to see the new PS3 additions in action. If you look closely, the footage for Xi Gundam is the same as the recent Full Boost character reveal as well. 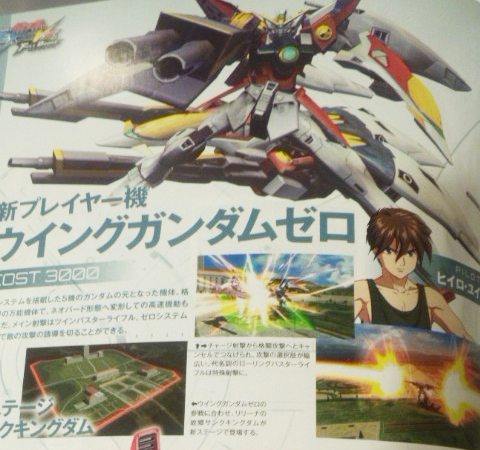 Looks like Heero Yuy is the latest pilot in Gundam Extreme Versus Full Boost to have two units in the game. 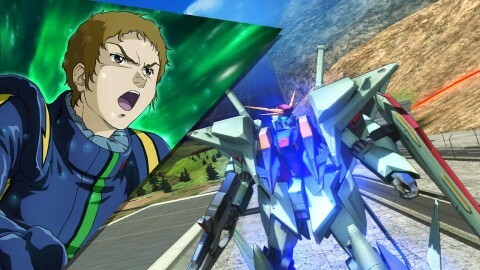 The TV version of Wing Gundam Zero is the next playable mobile suit to be unlocked in December as a 3000 cost unit. The last time we saw a playable Wing Zero in the Gundam Versus series was in Gundam vs Gundam Next Plus. It will be interesting to see what new tricks are added to Heero’s new suit considering Wing Zero Custom has taken some of its moves from the Next Plus iteration of Wing Zero. New bosses such as Big Zam and a new form of Extreme Gundam and the Sanc Kingdom map will also be included in the game’s next update. On the 26th November the increasingly awesome Gundam Extreme Versus Full Boost will have the RX-105 Xi Gundam added to its ranks (as a 3000 point weighted unit). This is a mobile suit piloted by Bright Noah’s son Hathaway in the series of novels called Hathaway’s Flash. The mecha designs were also penned by Moriki Yasuhiro, of Zeorymer fame, and were aesthetically quite distinctive. The Xi Gundam has been in a fair few games over the years but rarely in action orientated titles, the last time we got to play with the unit was in the rather good Gundam Battle Universe on PSP. So to have it directly playable again is something we’re pretty excited about. A short video of it action in Full Boost is shown below. In the December 2012 issue of Arcadia Magazine, listing its most recent top ten most popular arcade games, Gundam Extreme Versus Full Boost finds its way to the top of the list (with Under Night In-Birth and the new Guilty Gear arcade revision rounding out the top three). Amusement Journal also lists Full Boost as the highest earning small cabinet arcade game for the period of late August to early September 2012. The Gundam Extreme Versus series is no stranger to steady popularity as the first iteration of Extreme Versus was arguably the most popular Japanese arcade game in 2011. Earlier in the year, the April edition of Arcadia Magazine listed Full Boost in second place behind Persona 4 U. With the RX-105 Xi Gundam from Hathaway’s Flash listed as the next unit unlock and still many more to follow (AMX-109 Kapool Corin Nander Custom from the intro for example), Full Boost looks to have a steady reign over the Japanese arcades until the end of the year. Here’s to hoping we hear of a console version soon. 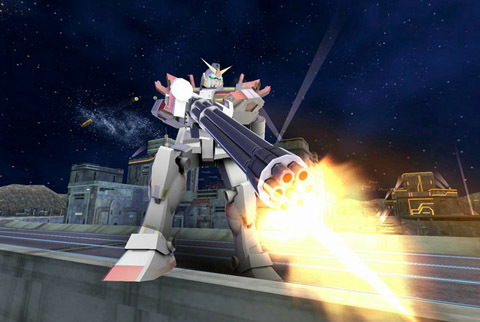 In an update slated for tomorrow, the wondrous RX-178 Gundam Mk.II will be added to Gundam Extreme Versus Full Boost. If that wasn’t cool enough, the Super Gundam variant of the Mk.II will also playable (as your upgrade most likely). The unit only costs 2000 points too, which is a great bargain. Following that we’ll have a new Extreme Gundam to play with, as well as a daylight stage from G Gundam. Anyway, gameplay videos of the two new units are linked below. 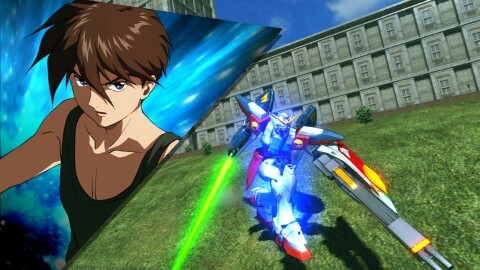 As of today, the mighty GX-9900-DV Gundam X Divider (shown above) and GAT-X102 Duel Gundam (with Assault Shroud armor) have been added to Gundam Extreme Versus Full Boost. In addition, the AMA-X7 Shamblo is now present in the game as a boss on the Torrington stage. Videos of the two new playable units are shown below. 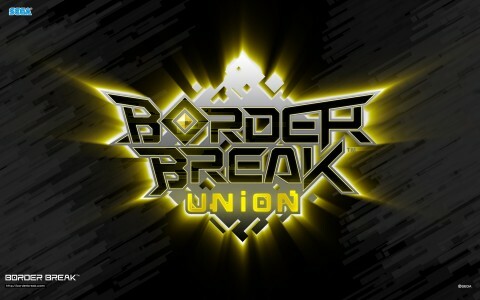 We now have a new Border Break on the way. Effectively Version 3.0, Border Break Union will continue the series and feature new parts and now airborne enemies by the looks of it. There’s a nice shiny new opening movie too (shown below). Interestingly, the game will be shown at the upcoming Tokyo Game Show along with an iOS app. Anyway, we’re just glad that the Border Break games have been doing so well and that SEGA have decided to take them further.